Columbia University, the University of Maryland and the Smithsonian Institution have pooled their expertise to create the world’s first plant identification mobile app using visual search—Leafsnap. This electronic field guide allows users to identify tree species simply by taking a photograph of the tree’s leaves. In addition to the species name, Leafsnap provides high-resolution photographs and information about the tree’s flowers, fruit, seeds and bark—giving the user a comprehensive understanding of the species. David Jacobs of the University of Maryland and Belhumeur approached John Kress, research botanist at the Smithsonian’s National Museum of Natural History, to collaborate on remaking the traditional field guide for the 21st century. Users of Leafsnap will not only be learning about the trees in their communities and on their hikes—they will also be contributing to science. As people use Leafsnap, the free mobile app automatically shares their images, species identifications and the tree’s location with a community of scientists. These scientists will use the information to map and monitor population growth and decline of trees nationwide. Currently, Leafsnap’s database includes the trees of the Northeast, but it will soon expand to cover the trees of the entire continental United States. 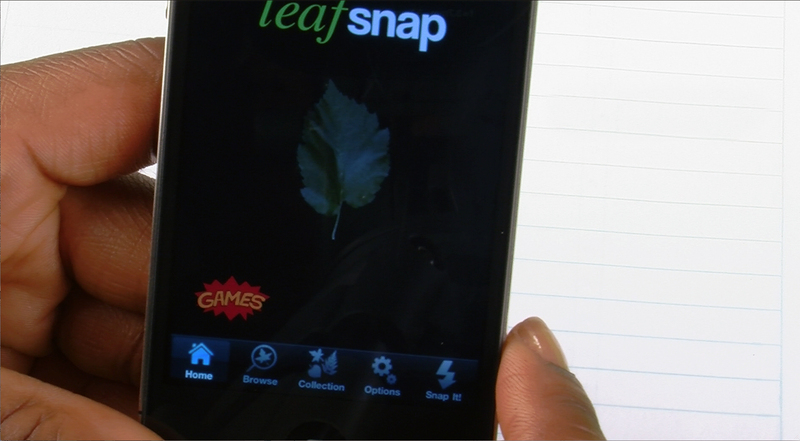 The visual recognition algorithms developed by Columbia University and the University of Maryland are key to Leafsnap. Each leaf photograph is matched against a leaf-image library using numerous shape measurements computed at points along the leaf’s outline. The best matches are then ranked and returned to the user for final verification. The algorithms and software were developed by Columbia and the University of Maryland, and the Smithsonian supervised the identification and collection of leaves needed to create the image library used for the visual recognition in Leafsnap. 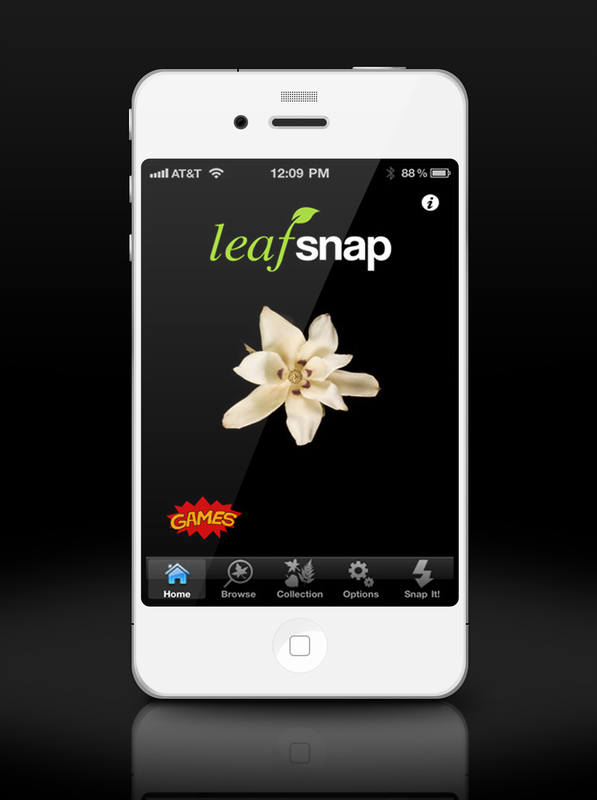 In addition, the not-for-profit organization Finding Species was hired and supervised by the Smithsonian to acquire the detailed species images seen in the Leafsnap app and on the Leafsnap.com website. The app is available for the iPhone, with iPad and Android versions to be released later this summer. The University of Maryland, College Park, is recognized nationally and internationally as a center of academic and research excellence. The university, which attracted more than $545 million in research funding in fiscal year 2010, is no. 5 among Kiplinger’s 100 Best Values in Public Colleges, a top-20 U.S. public university according to U.S. News & World Report and no. 1 in awarding undergraduate degrees to African Americans according to Diverse Issues in Higher Education. The University of Maryland and the Smithsonian Institution have a long history of research and educational collaborations, which since 2009 have been facilitated by a Memorandum of Understanding between the two institutions that makes it easier for their scholars, scientists and researchers to work together to increase contributions to science, share their knowledge with the public and educate future generations. Founded in 1846, the Smithsonian is the world’s largest museum and research complex, consisting of 19 museums and galleries, the National Zoological Park and nine research facilities. There are 6,000 Smithsonian employees and 6,500 volunteers. Approximately 30 million people from around the world visited the Smithsonian in 2010, with 188 million visits to the Smithsonian websites. The total number of objects, works of art and specimens at the Smithsonian is estimated at 137 million. Leafsnap, an electronic field guide for trees, developed by Columbia University, the University of Maryland and the Smithsonian Institution, shown here in use on an Apple iPhone 4. 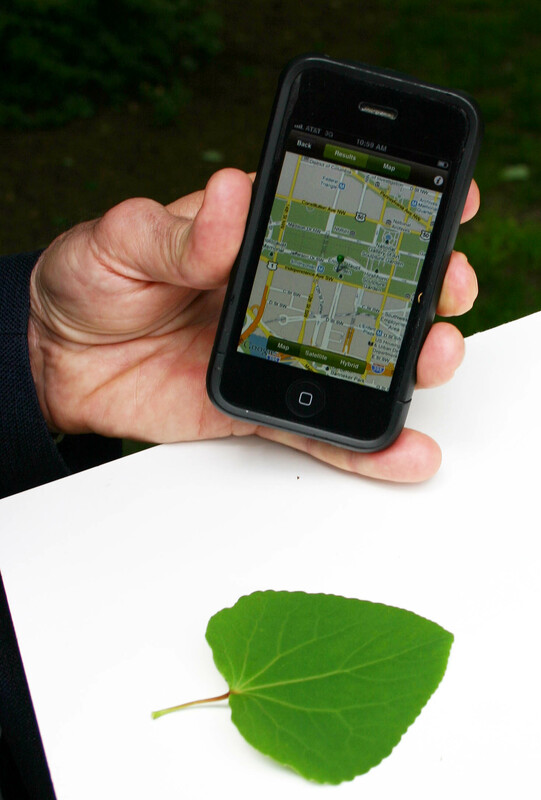 Leafsnap, an electronic field guide for trees, developed by Columbia University, the University of Maryland and the Smithsonian Institution, shown here illustrated on an Apple iPhone 4.